Looking to improve your customer’s experience? And learn the best ways to do so? You’ve come to the right place! We’ll show you how to improve your services in 3 simple steps. The first part of the toolkit will get you familiar with customer journey mapping. What is it? And what steps do you take to create a customer journey map? Once you’ve got the basics down, the real fun begins with an interactive workshop. 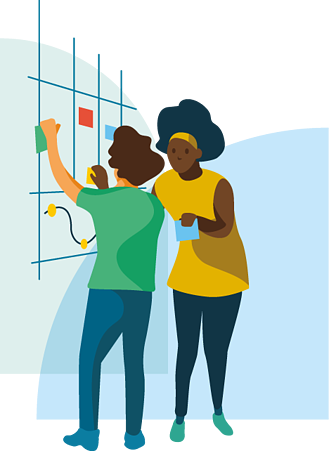 Gather your team and learn how to make a customer journey map in under an hour. After the workshop, you’re ready to create a customer journey map for your own services! You’ll find everything you need for that here as downloads.